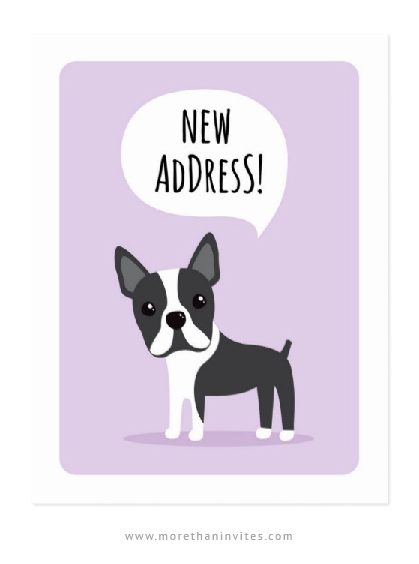 Cute new address moving announcement postcards featuring a cute cartoon illustration of a little Boston Terrier dog on a pale purple background. Text in speech bubble “New address!”. Add your new address on the back. The text on the back is customizable. Available from Zazzle.